Now it can be told: Veteran film producer Pam Hirsch (“The Winning Season,” “Girl Most Likely,” “Labor Pains”) wasn’t sure she could make “Miles Ahead” here two years ago. “When we came to Cincinnati, we were not sold,” Hirsch said after the Cincinnati premiere of the film Saturday, a fund-raiser for the Greater Cincinnati & Northern Kentucky Film Commission. Hirsch and director-star Don Cheadle were convinced that Cincinnati could double for New York City in the 1950s through late 1970s during a visit here in spring 2014 with Kristen Erwin Schlotman, local film commission director, while Cate Blanchett was here filming “Carol,” set in 1952 New York City. Schlotman showed them the city’s architecture -- including the historic Over-the-Rhine buildings built on a grid used by “Little Man Tate,” “Eight Men Out,” “Milk Money” and other films – and talked about the Ohio Motion Picture Tax Credit. “Kristen really did seal the deal for us to come here,” Hirsh said. 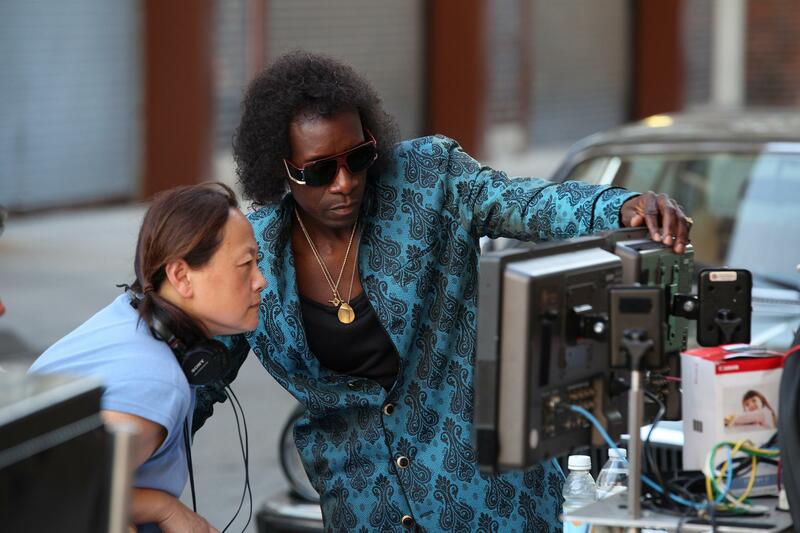 Don Cheadle and script supervisor Belle Francisco look at a scene shot in downtown Cincinnati. 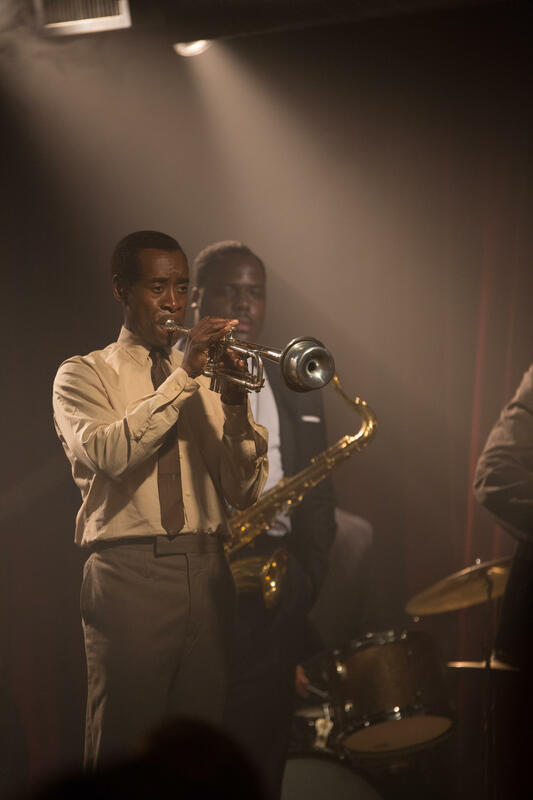 In June of 2014, a month before filming, Cheadle was convinced he came to the right place to make the movie about Davis emerging from his five-year drug-fueled “silent period,” with multiple flashbacks to his music and marriage to dancer Frances Taylor (1956-66). Cincinnati had the “architecture and the look here that can approximate the era that we’re shooting in Manhattan, which Manhattan doesn’t really have a lot of any more,” he said. “It makes sense to be here. This town is a music town,” he told me 2014. After the Saturday screening, Cheadle put it this way: “We knew because of the architecture of the city, and the way it’s laid out – and the rebate, that helps – that this was going to be the perfect place,” he said. “We never say ‘New York’ in the movie. We say ‘Columbia,’ ” referring to Davis’ record label. The Cincinnati Bell building, 209 W. Seventh St., portrayed the Manhattan headquarters of CBS and the Columbia label. Producer Hirsch also praised the cooperation and support of the police, locations, hotels and restaurants, in addition to the film commission. "It helped us to make the movie we wanted to make, in more ways than we imagined," she said. Local musicians Joshua Jessen and J.T. 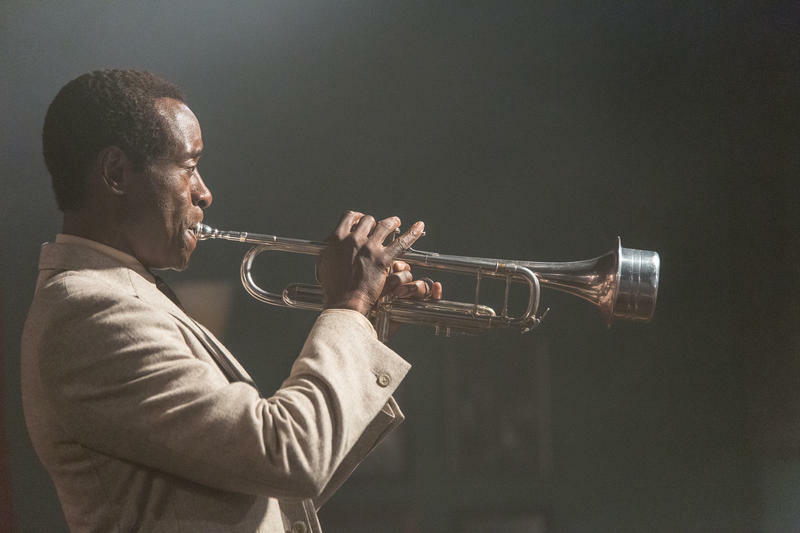 Thigpen have played a lot of jazz – but never like what they did in “Miles Ahead,” the new movie about jazz icon Miles Davis.